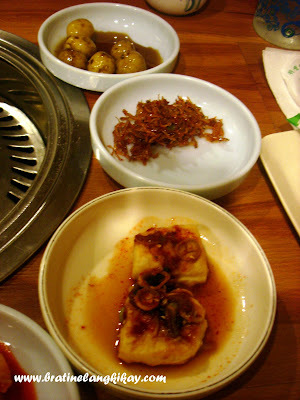 I've been thinking of anything Korean the past few days. College bffs went to Seoul last week and came back with fantabulous photos of Korea. I am so green with envy! Actually in 2009, we were supposed to go on a vacation to Seoul but before that happened, I got preggy with my precious Enoe and I traded the trip (and all other trips overseas) in view of my boy's health inside my tummy. I still want to go to Seoul. I think next to Japan, Korea is a great Asian destination, and hopefully not as expensive. I'm waiting 'til Enoe is about 2 years old so he won't be too troublesome - can sit longer in a stroller, walk a couple of meters and of course appreciate the travel. Meanwhile, while I await for that dream vacation with my family, The Hubby and I will have to content ourselves with eating Korean dishes from popular dining hubs. 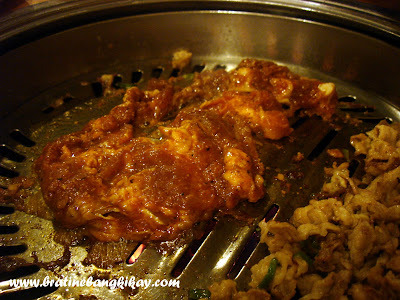 And so we began our Korean gastronomic adventure at Ye Dang Korean Barbeque the other day. 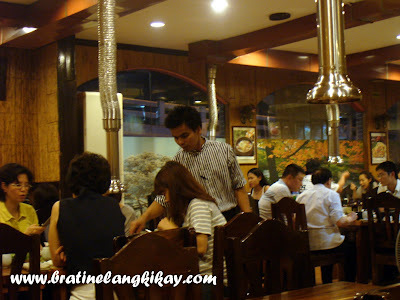 Ye Dang is located along Meralco Avenue, beside Metrowalk. Parking may be difficult during peak hours but if you wink at the guards, they might allow you to park inside the second hand cars for sale garage. I told The Hubby not to order too much as I was not yet hungry after having the meryenda buffet at Dad's with my colleagues earlier. We decided to order just two meat variety for grilling and rice. 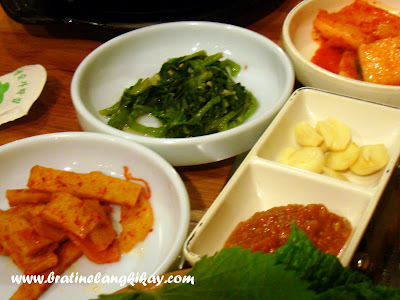 Just like in any Korean Barbeque restaurants, they served a set of complimentary side dishes (marble potatoes in sweet sauce, kimchi, sweet/spicy anchovies, spicy bamboo shoots, tofu in i-don't-know-but-it's-yummy sauce and some spinach) which occupied almost half of our table. 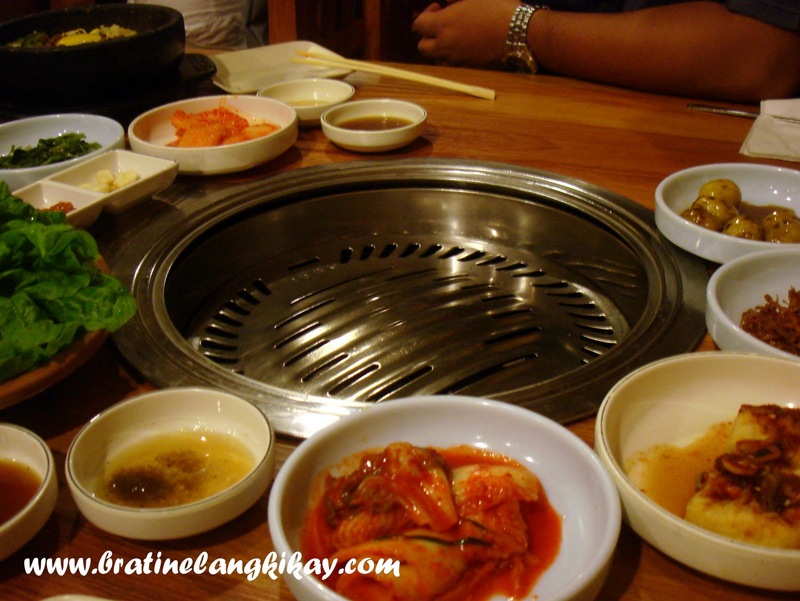 Immediately after the side dishes were served, the attendant setup the grill. 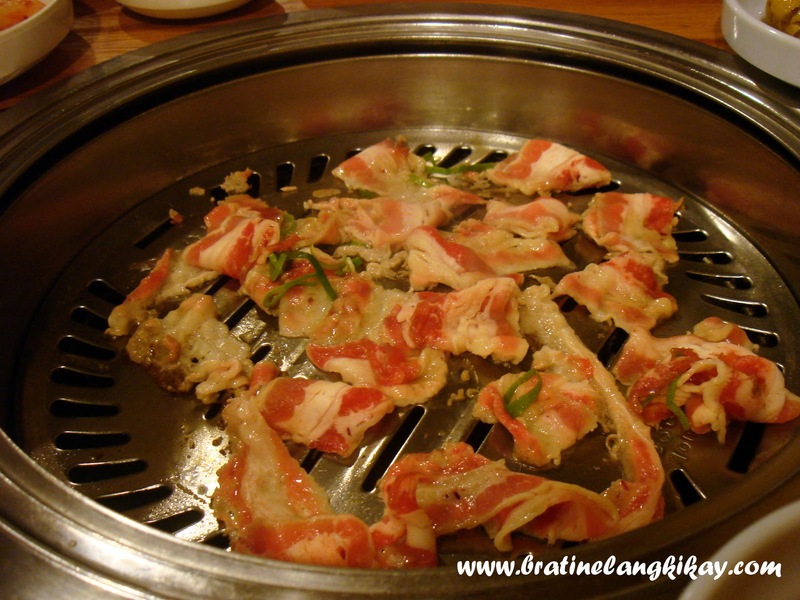 Our first for the grill is Beef Belly (Usamgyup, Php300). 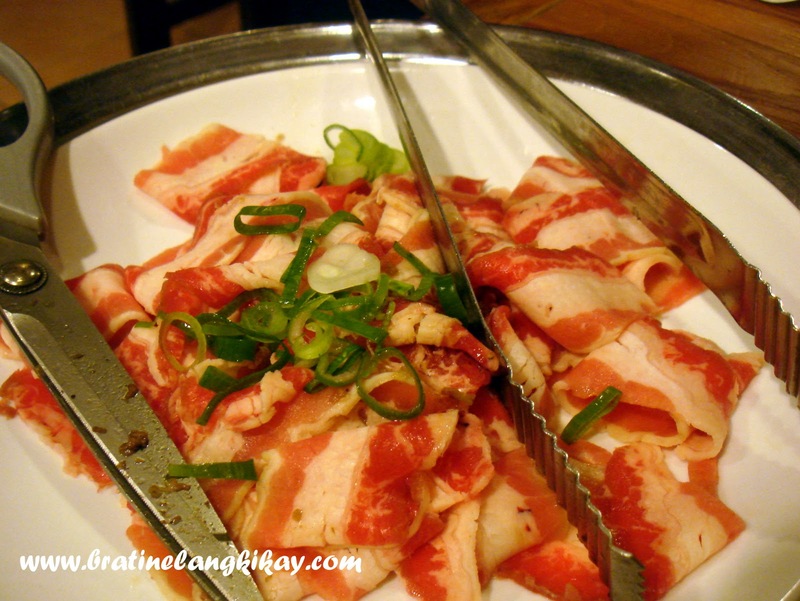 The thin slices made cooking a breeze. The meat is unseasoned so the trick is to use the side dishes and various sauces on the table to spice it up. We also ordered Pork Spare Ribs (Taegi Kalbi, Php350). I thought the portion is too small. Good thing the taste made up for the price. The meat is tender and the marinade is simply delicious! The Hubby wants to eat rice and we figured steamed rice may be too dull to pair with grilled. 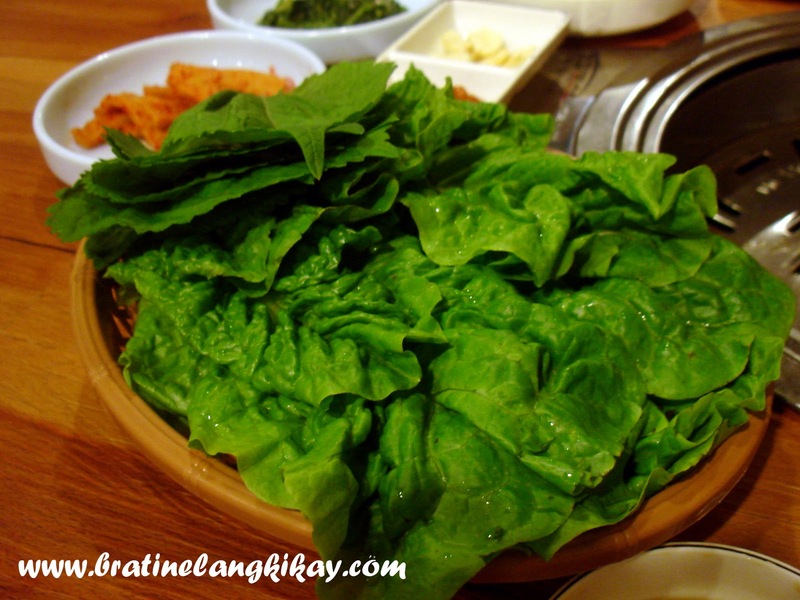 A friend suggested we order Bibimbap which we promptly did. 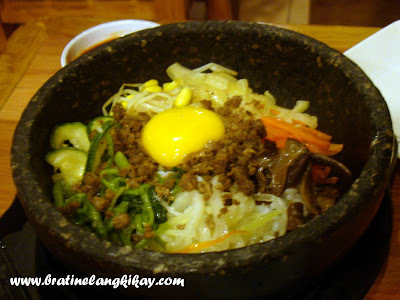 The order taker gave us two options for the Bibimbap - hot or cold. But who wants cold rice in this side of the earth? Certainly not us. So hot Bibimbap (Dolsot Bibimbap, Php250) got the upper hand. How do we put all these orders together? The Korean way is to take a shiso leaf or lettuce, put the meat, rice and sauce, roll it up and eat. The other way is to eat them in any manner you please. After all, we're not yet in Korea. Not yet but I certainly hope soon.